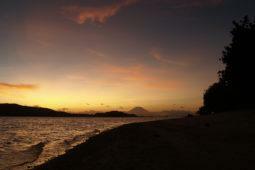 It is with absolute pleasure that we share with you the preserved, wild beauty of South West Lombok’s Gili archipelago. Sun, sea, sand, fish, coral, birdsongs and the cool breeze making its way through the leaves and caressing your tanned and rejuvenated skin. Whether you prefer more classic accommodation or something unconventional & unique, we have the perfect room for you! 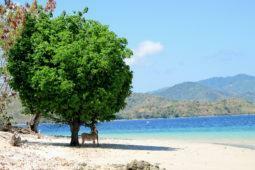 Located in the south west of Lombok Gili Asahan is one of the least populated of the secret Gilis in the archipelago. This slowly developing, quiet and unique region is still as isolated and wild as it was 15 years ago when the founder of the lodge first acquired the land. With breathtaking displays of nature both on land and underwater this island paradise is the perfect holiday destination for anyone seeking a tranquil place to step away from the stresses of daily life.  With its unique style combining simplicity and high-class comfort of both the local and western world Gili Asahan Eco Lodge and Restaurant is sure to liven you senses and freshen your perspective; simplicity doesn’t mean sacrifice. Every night, weather permitting, we light a bonfire to set the mood for a relaxed evening and gather around the dancing flames, under the stars. Although we have no pool we have a beach just at your doorstep that would put any pool to shame. We have large sunbeds on the beach for you to relax on and get your daily dose of vitamin D.
Just behind the lodges there are beautiful hills with360 degree views of the bay waiting to be explored. Enjoy a home-cooked meal of your choice with a spectacular sea view at our onsite restaurant; Nautilus. Enjoy a refreshing home-made iced tea on the beach, a cold beer at the yoga shala for sunset or an Italian house whine with your dinner. 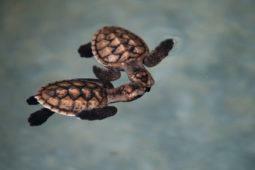 At our home reef, just in front of the bungalows, you will find all kinds of sea-life, in every shape size and color. Just take a dive right in front of the lodges or asks us about our boat excursions. Explore the neighboring islands by traditional outrigger boat or catch lunch on the newest member of our fleet M.V. Timelight. A perfect place for a unique romantic getaway with your loved one or celebrating your honeymoon like you’re the only people left on the planet. 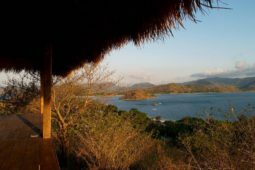 „The island, the sea, the ecolodge and the people combined to makes this place a magical destination. Pure nature at its best conditions, delicious and wide variety of food, knowledgable, helpful and very pleasant host with a awesome crew. The island have goats, cows and horses too - makes it feel like a farm. Snorkelling here reminds me of snorkelling in Terengganu in 1990. It's 2015 now. 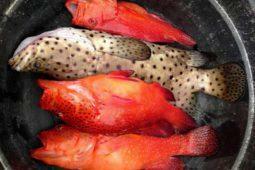 Reefs are in tip-top conditions and fish population is healthy and thriving, the locals don't fish bomb anymore. I look forward to return!" 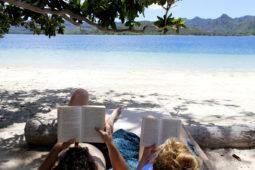 „We loved our stay on this little paradise island and hope to go back some day. My husband and I stayed for four nights and went for a kayaking and snorkeling trip everyday. 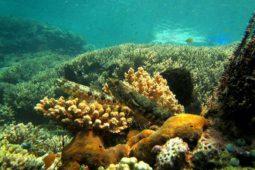 You can also find beautiful fish and corals right at the beach in front of the Lodge. The manager and the staff were incredibly friendly and helpful, and the food was fresh and really tasty. 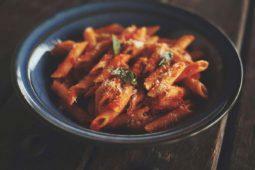 Very authentic Italian tastes, loved it! 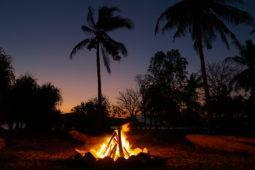 As the bungalow is very open, during the night you hear some animal noise from the outside, mainly geckos and roosters. 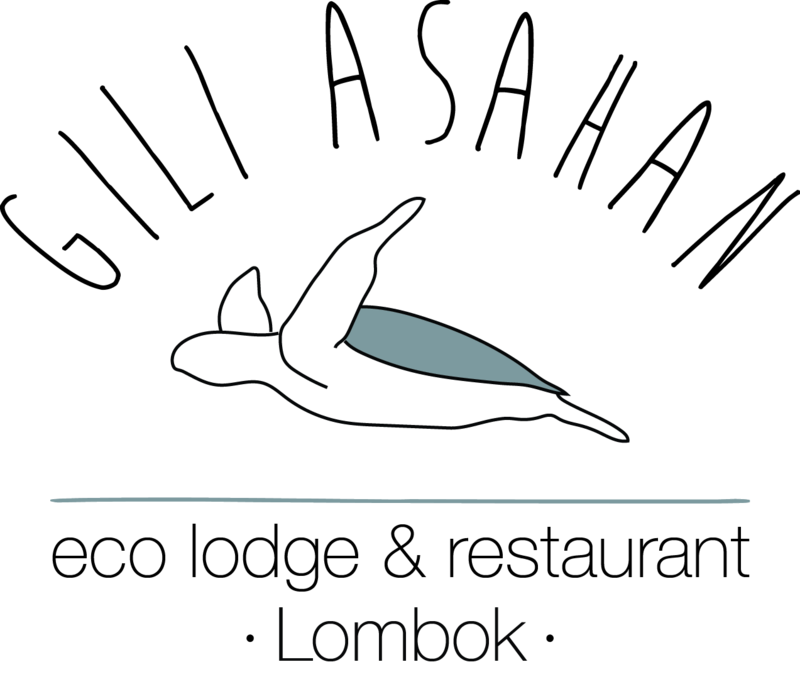 All in all, this was the highlight of our trip to Bali and Lombok, we definately recommend this place!" „We spent our Honeymoon at this beutiful place. It was the best time! Never lived so close with the nature, nevertheless we had a great comfort. The bungalow was furnished so lovely. The Food was delicious! 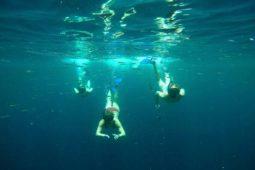 We were never bored, Gili Asahan has a lot to offer! One day it was rainy, but that wasn't a problem, because we relaxed in the bungalow and the rain wasn't cold :-) Thanks to all the friendly people! 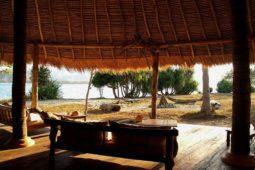 Thanks to the owners, the natives of Gili Asahan and the staff. We never forget this time! Hope to see you soon!" 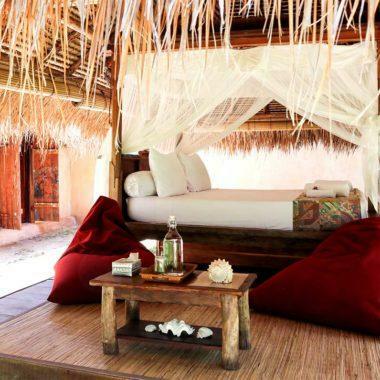 „Gili Asahan Eco Lodge is AMAZING!!!! I have just come back from spending 3 nights here with two friends. 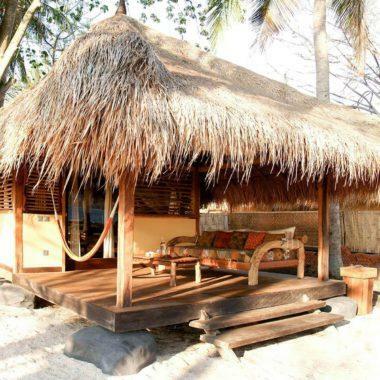 The location is incredible - right on the beach, where you can swim out and snorkel. The accommodation is lovely, and the outdoor bathrooms are great. Food - insane! Delicious Italian menu and we loved the fresh grilled seafood. Still dreaming about the chocolate pudding! Lovely staff. 10/10. Will be back!" 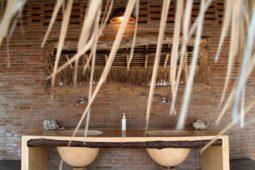 „Rooms are beautiful, nice and open and with an awesome outdoor shower and sun-bed area. 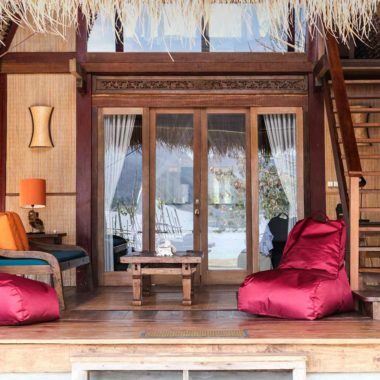 The simple and open bungalows open right up and allow you to surround yourself with the outside world or close it off to have some seclusion. If you want to have an island just about all to yourself surrounded by beautiful beaches, pristine coral, great walks and incredible Italian food this place is a must!!!" „A gem of a place! Highly recommended. Exquisite attention detail from the beautifully designed and furnished rooms to the delicious food and super helpful and friendly staff and hosts. 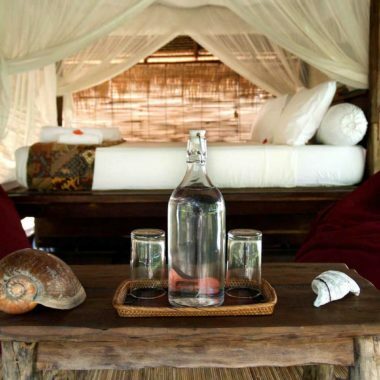 The Eco lodge provided the treatmentand atmosphere you'd expect from a luxury resort but in a beautiful, natural."